The non-denominational school for boys and girls was established in Chudleigh by the year 1849. The person mainly responsible for this was Mrs Ellen Rouse, wife of Mr William Rouse who had together come to Chudleigh about 1841 and who lived initially lived at Coburg House. They were both originally from Suffolk and had previous to Chudleigh lived for a time at Torquay. When in Chudleigh they soon made the acquaintance of Mrs Elizabeth Davison, widow of a former preacher at the Congregational Chapel. It was she who provided the finance and property to start the Baptist movement in the town. She had died on 6 March 1847 aged 71 and was buried with her husband, Minister James Davison – who had died on 5 August 1841 (aged 60) within the Congregational Chapel in Woodway Street. 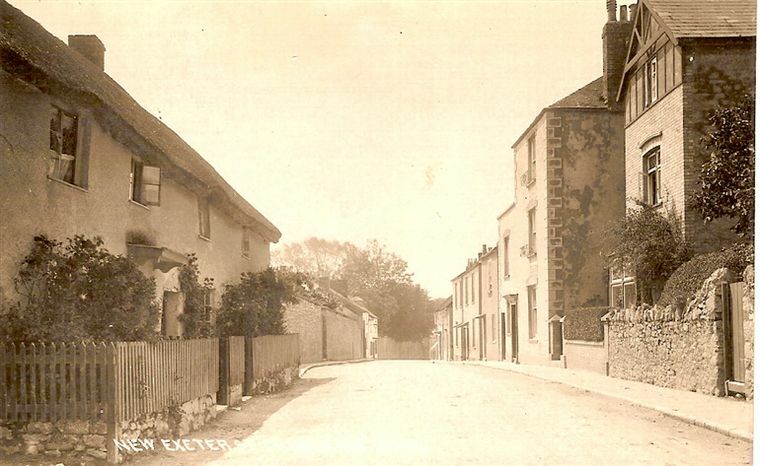 It seems likely that Rev Davison married in Chudleigh, as at her death Elizabeth Davison possessed much property in the town and the 1841 census confirms she was born in Devon. In her will she left, among other bequests, 'The organ in her dwelling house for the use of the Independent Chapel in Chudleigh' . Also to the chapel she left an endowment of £4 per annum which represented a half year's rent from her Heathfield House. Although she is thought to have been Presbyterian by upbringing, married to an Independent, buried in the Independent Chapel and in her will leaving bequests to various Independent Ministers and their Chapels, she adittionally left an endowment for a Baptist Chapel and a Baptist School. The endowment funded from part of the rents from Heathfield Cottage (the later home of William and Ellen Rouse after they had left Coburg House), and various agricultural properties, was for the foundation and support of 'Brookfield Baptist Chapel, Minister's Residence and the Heathfield Schools'. The first two buildings were to be built in Fulford's Meadow on the Exeter Road, while the Schools were to be established in a rented building which had once been a cooper's workshop in Fore Street, until such time as purpose built premises could be made available. The chapel was built in Fulford's Meadow but Heathfield House took on the role of the Manse. Following Mrs Davison's death in 1847 Heathfield House was occupied (as the Manse) by Mr William Rouse (born 1804 Ashbocking, Suffolk) and his wife Mrs Ellen Rouse nee Cooke (born 1805 Melton, Woodbridge, Suffolk). At about that date Mrs Rouse had established two schools for boys and girls under the British System which provided a non-denominational religious education and called 'The Heathfield Schools'. The girls and infants day schools were located in the ex-cooper's workshop and adjacent pound house formerly belonging to the late Mr John Hayes (died 1845) close to the Globe Inn in Fore Street and the boys at a house in Clifford Street. The Sabbath school continued at the chapel. Mrs Rouse died at Heathfield Cottage on 22 April 1889, aged 84 years and Mr Rouse on 11 May 1892, aged 85 years. The first boy's master – Mr William Taylor – was one of the first to be made a member of the Baptist Chapel and admitted on 13 December 1848. The roll of names shows that he was received from Bideford. His wife Mary was admitted at the same date. It appears he left Chudleigh about 1857. The town directories for 1856/57 show him to be residing at Coburg Cottage (adjacent to Coburg House). Miss Mary Truman (29) and Miss Elizabeth Truman (22) both of Babbage's Court, Mill Lane. Mary and Elizabeth Truman were admitted to the Baptist membership on 13 December 1849 (baptised 28 September 1854) and 16 October 1849 respectively. A Mary Truman died 5 May 1855 according to the Membership Register and Elizabeth Truman left Chudleigh at some point o live in America. The 1861 census shows that master of the British School to be Mr George John Sparkes (born 1828 Teignmouth). He was living in Woodway Street with his wife Mary and five children, the eldest of whom, Mary (born 1853 North America) was later the teacher of the infant children. His second eldest child was born in Chudleigh in 1854 and so it would be at about this date that he had taken over as master from Mr William Taylor. He was formally admitted to the Baptist membership on 6 December 1857. He was replaced by Mr Caleb Tapp in 1867. Caleb Tapp was born at Bishops Nympton, North Devon in 1842, the son of William Tapp. At home with his parents, aged 19, on the 1861 census he was described as a pupil teacher. He had arrived in Chudleigh in early 1867 and replaced Mr George John Sparkes as master of the British School boys department. He was formally admitted to the Baptist membership on 15 April 1867. In the late part of 1867 he married Miss Frances Mary Stocks of Chudleigh who was eight years his junior. On 9 August 1868 Caleb was baptised at the Baptist Church. On the 1871 census he was living with his wife in Culver Street along with their young son William Tapp who was then aged four months. Their daughter, Frances Mary Tapp was born in Chudleigh in 1873 and at some time subsequent and prior to 1878, the family moved to Thornton, near Bradford, West Yorkshire where Caleb had accepted the job of master at the James Street Elementary Boarding School. Tenders for the building of new school premises to accommodate both the boys and girls were invited in early 1879. The following tenders were received for erecting new school buildings and boundaries at Uplands, Culver Street, for Mr W Rouse Esq. Messrs Tapper (Bovey Tracey) £620; Collings (Chudleigh) £590; Rabbitch (Chudleigh) £530; Babbage & Stacey (Newton Abbot) £175 and Mardon (Bovey Tracey) £400. The latter being accepted. Work started almost immediately and the building was ready in 1880. These purpose built premises of stone block were at the top of New Exeter Street (previously called Culver Street), at a site adjacent to the house called Uplands (69 New Exeter Street) which had latterly been used as the home of the Baptist minister. The house for the schoolmaster was built adjoining number 69 New Exeter Street and from 1945 was used as the chapel manse. Uplands during the 1920's was in the occupation of Miss Lord who had run the Chudleigh School of Lace and who was an active Conservative and a member of the Women's Unionists. In 1947 the house was purchased by a member of the Lambell family for £750. home of the school headmaster; its neighbour is 'Uplands' used for many years as the Baptist manse. The door in the wall (far right) was the entrance to the school. The school building was set back from the street having the playground at the front. The school bell was located on the roof. In 1883 the maximum number of pupils was 160 with an average attendance of 145. In 1899 the premises were conveyed by Rev George H Rouse to the Devon Baptist Association. In the early days of the school there were three small cottages at the front and adjoining 70 New Exeter Street but these were demolished sometime in the early 1900's. In 1903 the Charity Commissioners report says that 'The Heathfield Schools and the school residence are now longer possessed by the Charity' and by 1904 the school was classified as un-denominational when it came under the control of the Local Education Authority. The following year the buildings were undergoing repair and the children moved to temporary schoolrooms at the Town Hall. In late 1907 at a County Council meeting it was suggested that £1150 be paid to secure the school buildings and in 1908 it duly became a council school. The school remained on that site until closure in the April of 1945. The children then went to the Church School in Fore Street. From 1881 to 1921 the headmaster was William Edward Bayly, he lived at what was referred to as the School House a property immediately adjacent to the school premises, today 70 New Exeter Street and built at the same time as the school building. He had come to Chudleigh from Barnet, Herts where he was born in 1857. He trained at the Borough Road College, London and it was the Principal of the College that had recommended him for the post in Chudleigh. In addition to his school duties he was also a deacon of the Baptist Chapel from 28 October 1886 and held the secretary position until just before his death. On retirement in 1921 having served the school for forty-one years he moved to 11 Fore Street (now Alpha House) and died there in 1929. His wife Tryphena was a music teacher at the school and was the organist at the chapel, she died in 1943 having been a member of the church for over fifty years and organist for much of that time. The headmaster from 1921 to 1945 was Mr Edwin John Barnicoat, who had transferred in from Buckfastleigh. He took up residence in the School House. The County Library was also located within the school building from 1939, Mr Barnicoat being in charge. When the school closed the school house (70 New Exeter Street) was the used as the Baptist chapel manse. 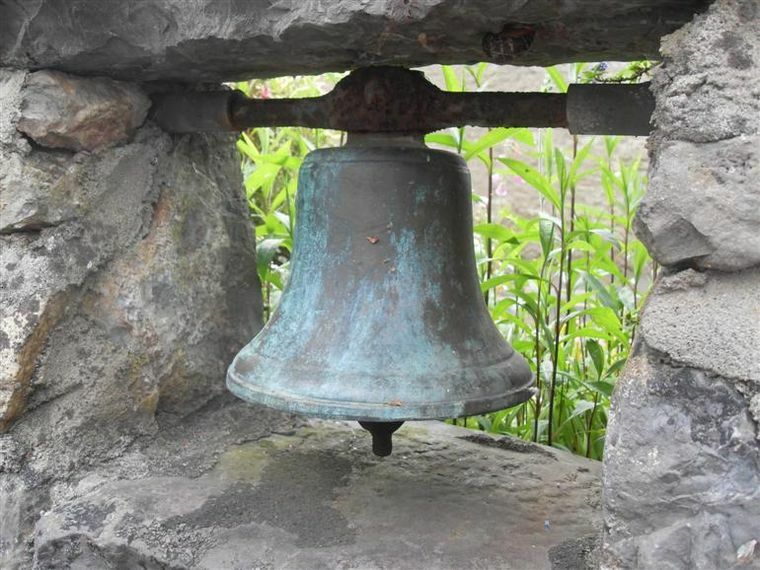 The school children would refer to the Council School as the 'High' school and the Church School as the 'Bell' school. Each establishment was also referred to at times by the names of 'Saints' and 'Sinners', the saints being of the church school and the sinners of the non-conformist. 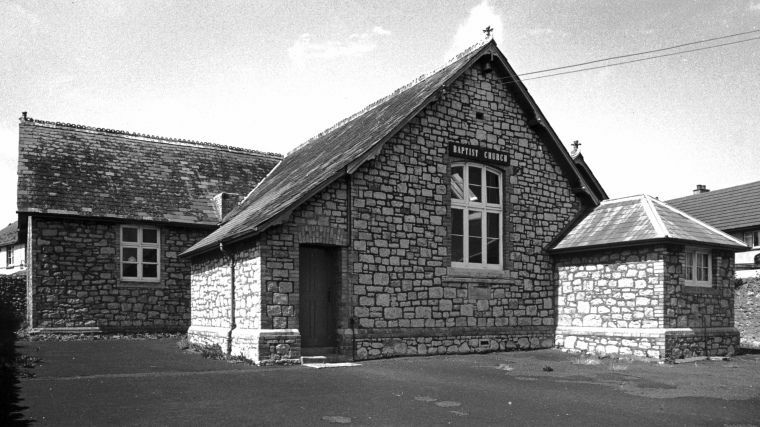 From April 1945 the ex-school buildings, now in the ownership of Devon County Council continued to be used for various purposes by the Baptists, most regularly for fund raising events such as sales of work and jumble sales. One other non-Baptist use was for the holding of post-mortems on Saturday afternoons until space was made available for that purpose at the Town Hall. In 1963, following the sale of the original chapel in Exeter Road chapel services were held in a room converted for the purpose. In January 1988 this building was demolished after serving its various purposes for 108 years. "...and I will dwell in the house of the Lord for ever Ps 23:6"
A service of thanksgiving was held at the parish church at 2:30pm prior to the flats being formally declared open. The service was led by Rev Derek Keenan, Secretary of Devon and Cornwall Baptist Association, and the Rev David West, Pastor of East Dartmoor Baptist Church. The front boundary wall at New Exeter Street contains the original school bell in a niche and alongside it the original stone foundation tablet, which reads 'British Schools, Erected by William W Rouse AD 1879'.